Although the Hussars had played a number of RTS games before (the usual assortment of Command & Conquer games, Shogun and Medieval Total War, Red Alert, Age of Empires, Warcraft and so on), the first RTS game that we attempted to play together was Creative Assembly’s Rome: Total War. Although the Hussars had played a number of RTS games before (the usual assortment of Command & Conquer games, Shogun and Medieval Total War, Red Alert, Warcraft and so on), the first RTS game that we attempted to play together was Creative Assembly’s Rome: Total War. This was a highly enjoyable game of (single-player) epic campaigns and multiplayer epic battles. The choice of troops and spending of resources was almost as important as the battle itself, with the key factor being cavalry. The game included fun elements such as animals that would run amok and kill anyone (friend or foe) in their path, wailing women and flaming artillery. Further sequels in the series included Medieval II (that some Hussars played) and most recently EMPIRE: Total War; pre-Napoleonic and Napoleonic warfare. Although some Hussars have this, it has not really been played online. Relic (of Homeworld, Homeworld 2 and Dawn of War fame) created a World War 2 skirmish based RTS in 2006 that was to include a certain amount of humour, as well as incredible graphics, sound and mature effects and language. 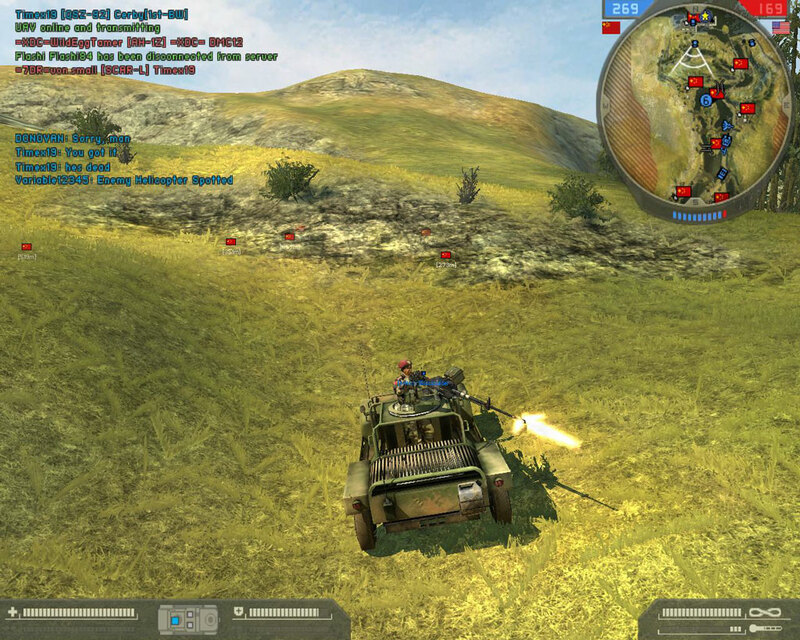 The game was also one of the first popular RTS games to include suppression and cover-based effects, meaning that outflanking the enemy became vital in any conflict. One of the unique aspects of the game (that also became a pain for the developers) was the attempt to make each faction work very differently to the others, including not only what experience gave them, but how they gained experience. The basic game included two factions (Americans and Germans) and further expansions added the British and Panzer Elite. The game is a masterpiece but a slightly flawed one – various balance issues took far too long to fix (or have never been fixed) include the fact that each faction (and doctrine with it) is balanced fairly well for 2 player games, but less so for larger numbers. Also as many of the original developers left Relic after the release of the game, those that took over from them didn’t seem to have the understanding of the code required and frequently broke more things than they fixed with later patches and expansions. Although the game has received little support since the second expansion was released (18 months ago), it is still great fun to play and is still played. with several write-ups created by Quercus and Miggins, but the campaign was abandoned in July 2010 due to lack of interest. Although attempts had been made to play Star Wars: Empire At War online (a game that included decent ground-based missions and superb space-based ones), the next big Strategy game to have an impact was the incredible Sins of a Solar Empire, released by Ironclad games (mostly by digital download only). The game featured no single-player campaign, despite an intriguing and rich background, instead focusing on the multiplayer game. With rich graphics allowing zooming onto close detail on the ships and out to solar system levels, NPC pirate factions and diplomatic options as well as cultural and military ones, the games lasted hours, sadly with most of them never being finished. However, as multiplayer games could be saved, this wasn’t as much of a problem as it would have been in other games. The game included three factions (standard Human military types, communal psionics and warlike reptiles), each with different but similar tech trees and ships. Each faction could built a limited number of capital ships that acted like hero units and could gain experience. if you thought the space battles in Star Wars EaW looked lovely, Sins looked even better. Further downloadable expansions offered additional tech options and large star bases as well as expanded diplomatic options. The games mentioned above are the main ones that the Hussars have played, but there have been others that a few of us have played together. These include Warhammer 40K: Dawn of War II, Men of War and Medieval II: Total War.